The German Pfeffernuesse Cookies are traditional spiced cookies covered with icing. The cookies can be prepared with honey, molasses, or sugar. I prefer a mixture of dark brown sugar and white sugar. Mix the flour with the baking powder and sift into a bowl. Add dark brown sugar and white sugar and mix. 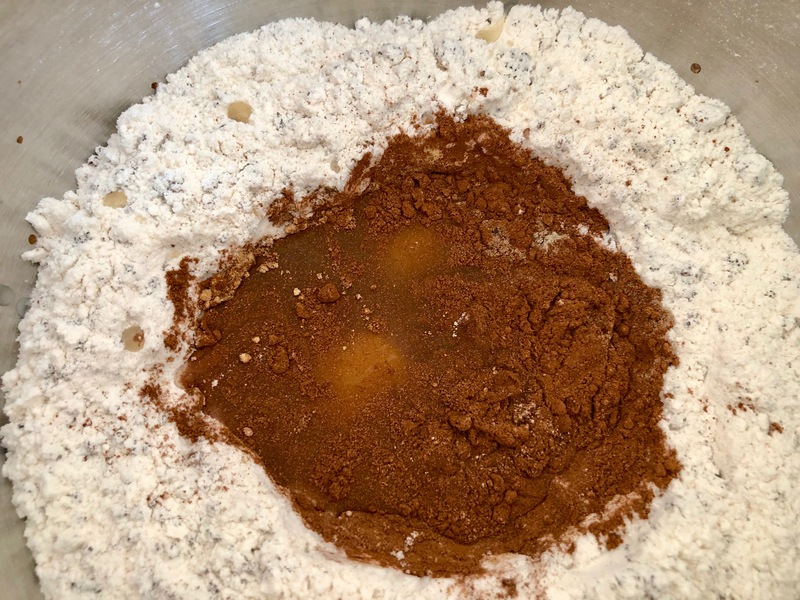 Make a hole in the center of the flour mixture and place the eggs, water, lemon juice, and spices. 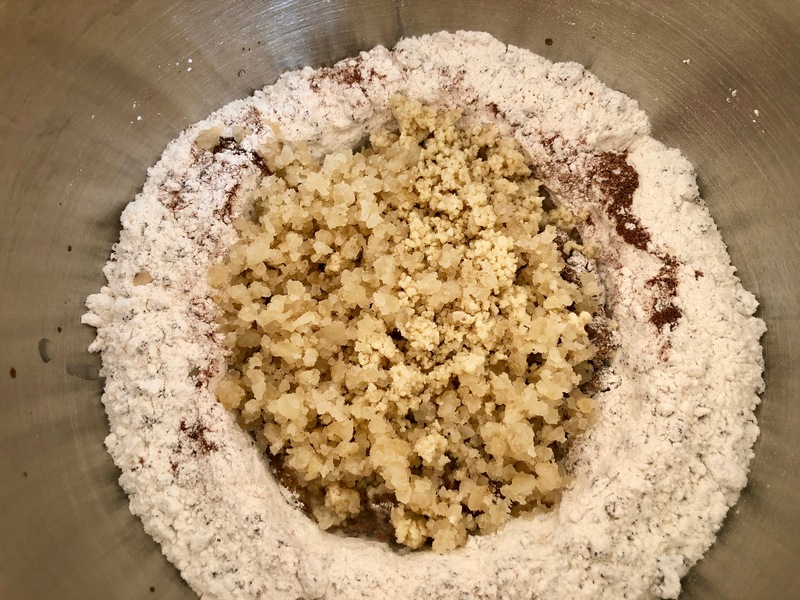 Mix the spices, eggs, and liquids with a little of the flour mixture using a fork until these ingredients are combined. Grind the almonds and lemon peel using a food chopper and place them on top of the egg mixture. 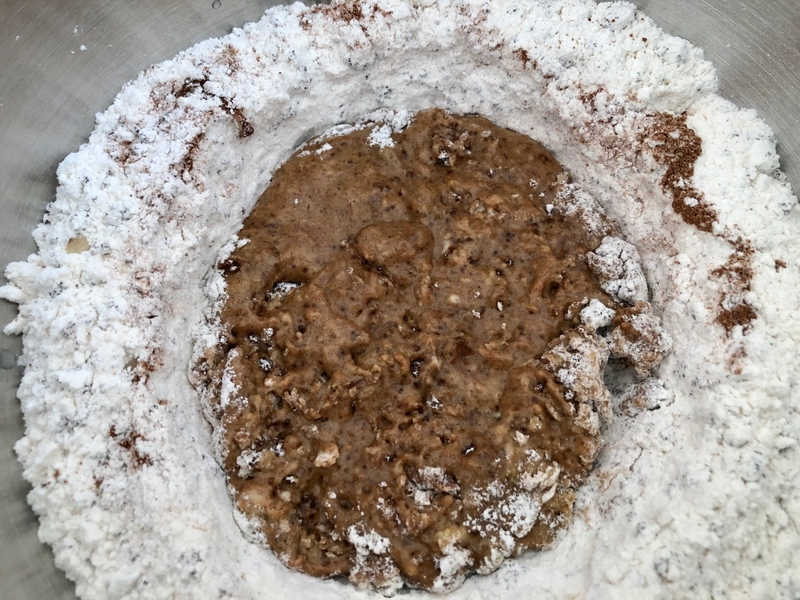 Cover with the flour mixture and stir it in a stand mixer using the kneading hook. Continue kneading with the hands, until the dough is smooth. If the dough is sticky, place it for about 30 minutes covered with cellophane wrap in the refrigerator. 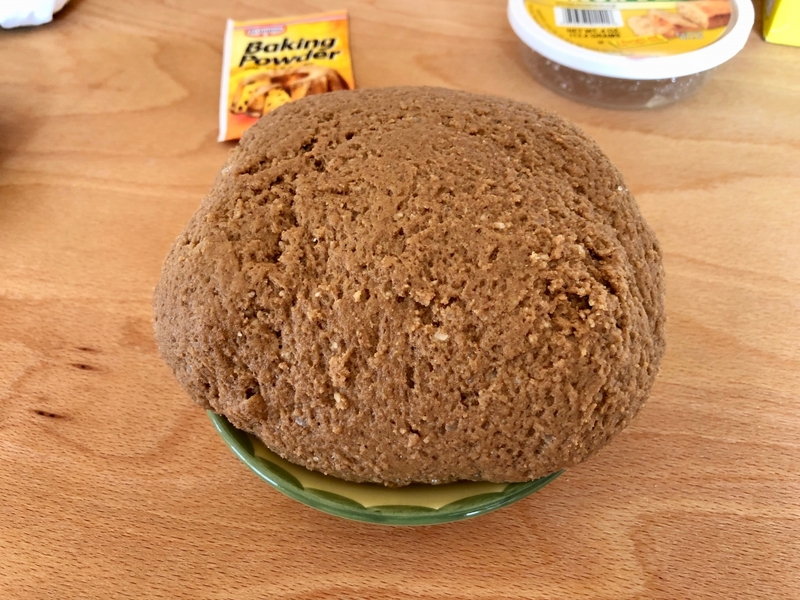 Divide the dough and make two rolls with a diameter of 3 cm (1.18 inch). 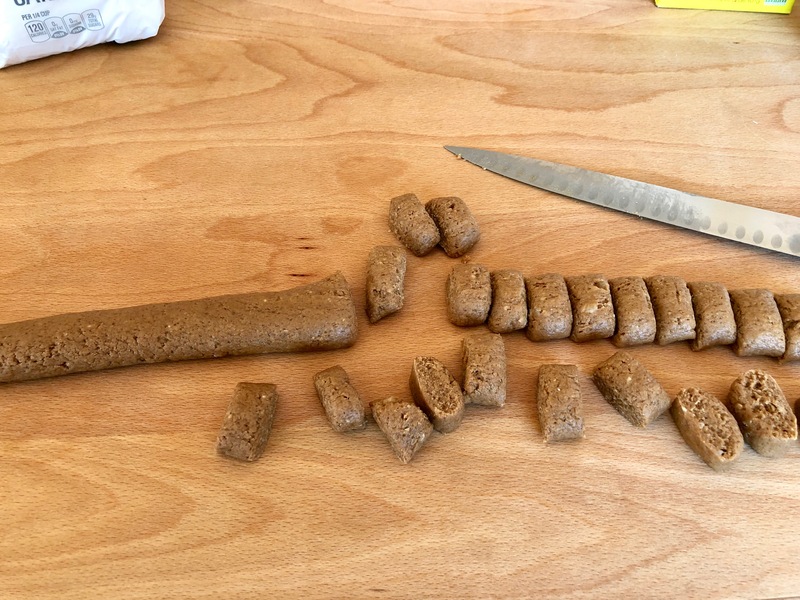 Cut the rolls into slices, each slice about 1 cm (0.4 inch). Form balls of the slices and place them on a baking sheet covered with baking paper. Leave some space between the balls, because they are rising during baking. Preheat the oven to 180°C-190°C (360°F – 375°F). Place the cookies on the middle rack and bake them for 14-16 minutes. Let the cookies cool down on a cooling rack. Beat the powdered sugar with the hot water and cover the cookies with it using a decorating bag with a small hole. Or just draw some lines on top of the cookies, or sprinkle some powdered sugar over the cookies. When the icing on the cookies is dry, place them in a tin box to store. 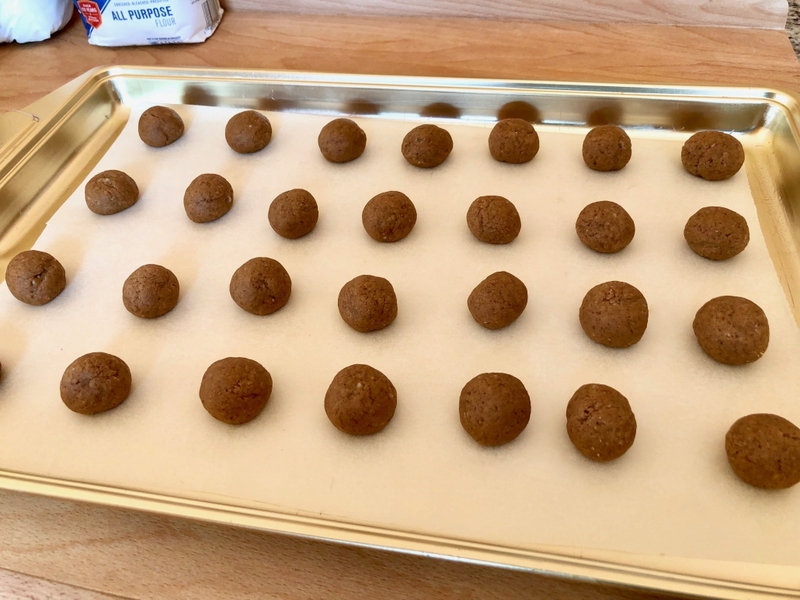 To try the German Spekulatius Cookie Recipe click here, the German Anise Cookies click here, and the Original German Gingerbread Recipe click here.